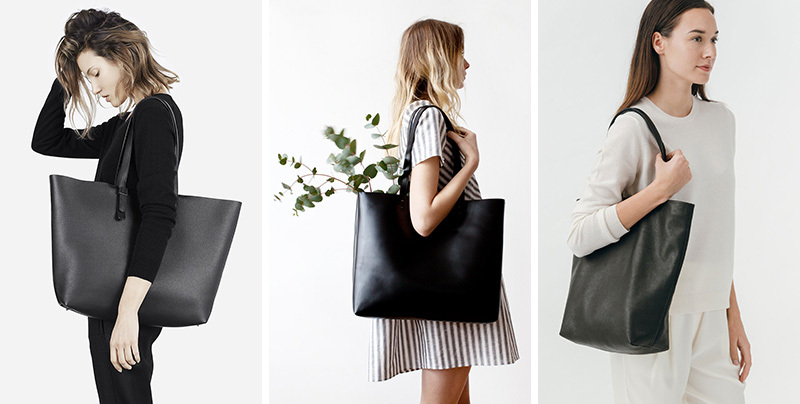 Every woman needs a simple black leather tote. 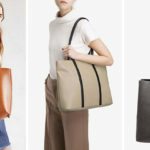 To help you find the perfect one, we’ve created a list of some of the most timeless black leather totes out there. 1. 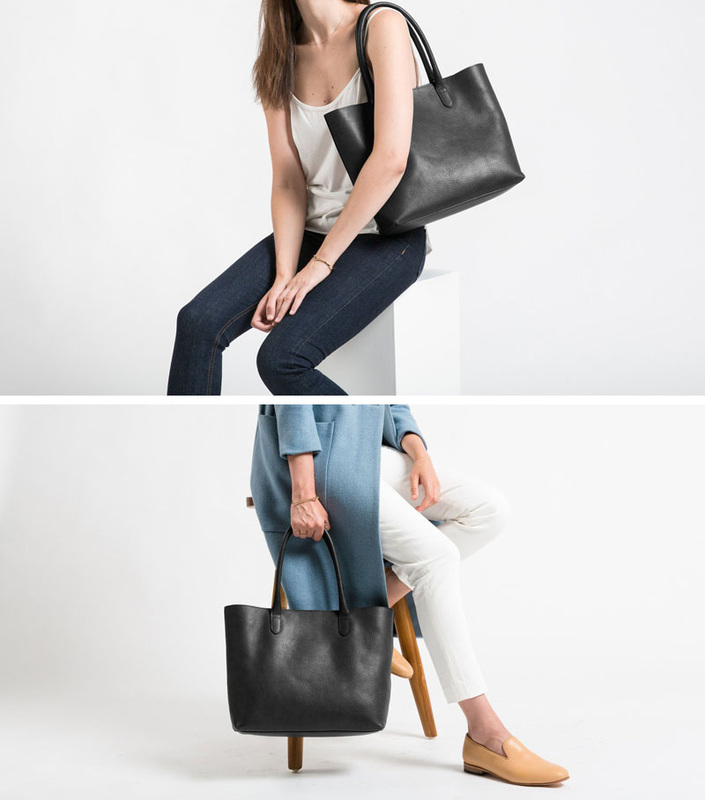 As the name suggests, this black tote slouches perfectly thanks to the soft but sturdy leather it’s made from. 2. 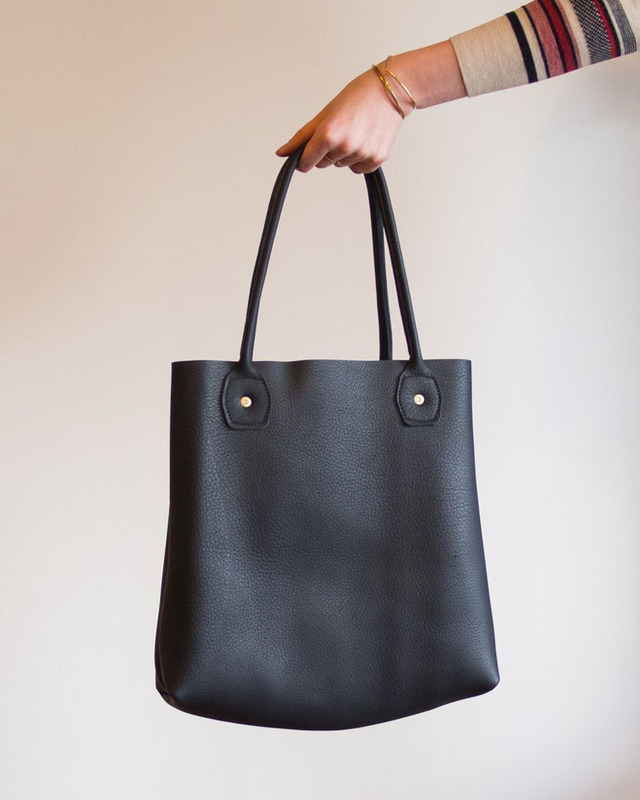 This minimalist black leather bag features an interior pocket, copper rivets, and a solid bottom to make it the perfect everyday tote. 3. This large black leather tote has small feet on the bottom so you don’t have to worry about setting it down on the floor. 4. With a natural suede leather interior, this large black tote is perfect for carrying heavy items. 5. 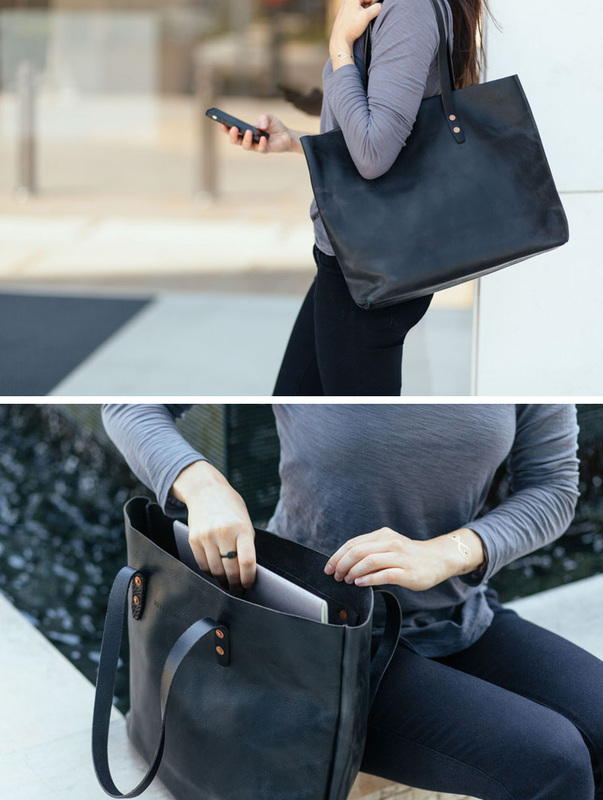 The soft leather of this black tote lets it drape over your shoulder effortlessly. 6. 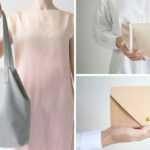 Throw this simple leather tote over your shoulder and your look is complete. 7. 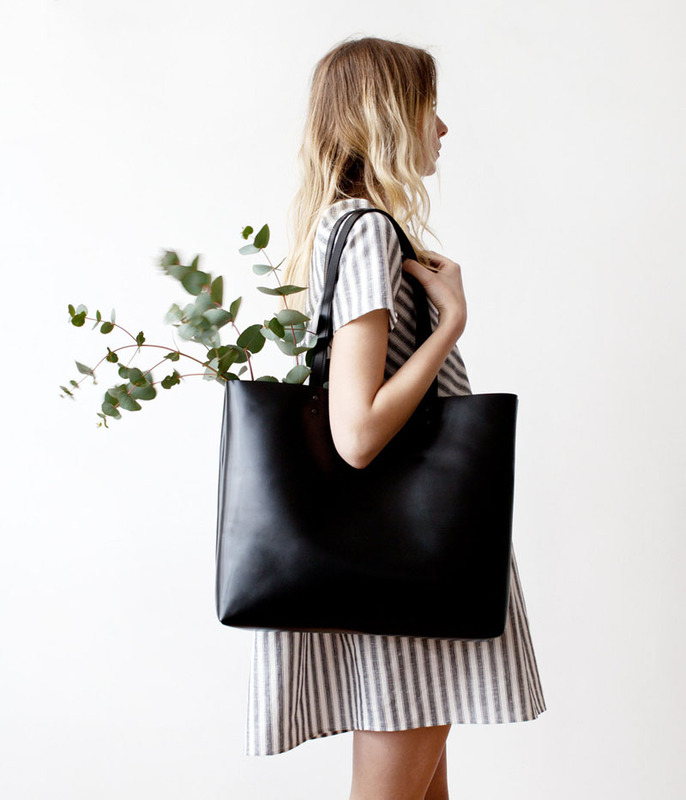 This black leather tote is the perfect size to carry around with you all day. 8. 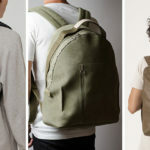 With a deep body and an internal zippered pocket you’ll be able to fit all your daily essentials into this leather tote. 9. Change things up with this black leather tote that has zippers on either side to make it easier to find things when you need them.